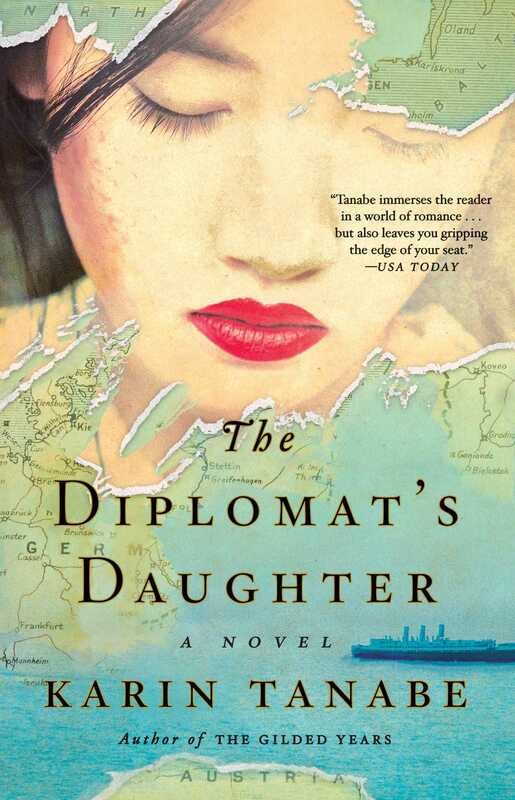 "Karin Tanabe’s moving new novel, The Diplomat's Daughter, is set during the global turmoil of the late 1930s and ‘40s, but its political resonance is timeless and its story is captivating...All this makes for rich reading. And even though we know how World War II concludes, the fates of Emi, Leo, and Christian will surprise you." "Above all, this is a novel about people from different backgrounds and walks of life being flung together by circumstance and finding love...[Tanabe's] attachment to her characters and passion for the period shine through." "Enticing...As Anita is drawn into Lottie's elite world, her secret roars beneath everything, threatening every step she takes." "Anita is the first African American to attend Vassar College— and, because of her light skin, no one knows. That is, until her roommate, a scion of an NYC family, jeopardizes her secret — and degree. Karin Tanabe based her 1897-set story on real events." "Based on the true story of the first African-American woman to ever go to Vassar College. The catch? No one knew she was African-American. After befriending the school’s Serena van der Woodsen, she has to work even harder at keeping her secret. Think: “Gatsby” meets college meets an impressive beach read." “Tanabe smoothly blends history, race and class into a whip-smart novel [with a] vividly complex heroine." "This charming, thoughtful, and affecting book tells the story of the first black woman to attend Vassar. That she attended as a white woman, passing and always at risk of exposure, drives the plot and allows Tanabe to tell a rich, complicated story about race, gender, education, love, and belonging in the Gilded Age." "Tanabe has written a moving portrait of a fascinating and complicated woman who crossed the color line when the stakes were high. This richly imagined novel about a woman of brilliance and fierce self-creation is sure to captivate readers as it did me." "The Gilded Years is a thrilling and foreboding tale about social and racial rules in nineteenth century America. Anita Hemmings begins her senior year at Vassar in 1896, the year that the Plessy doctrine of separate but equal became the law of the land. She is at the top of her class, speaks five languages, and is the class beauty. One rumor away from disaster, Anita lives with a secret that could get her thrown out of Vassar, injure her family, and destroy her academic future. Tanabe’s narration is reminiscent of novels of the 1890s, with dialogue that is spot on for that era. The compelling story covers a shameful time in American history, and is unrelenting in its tension and gripping detail."